Skyrim, the game of a thousand formats, is getting another release. Its virtual reality port came to PlayStation 4 last November – almost six years to the day since it first launched, since you ask – and it will come to PC on April 3. Skyrim isn’t the only recent Bethesda hit to get a VR port – here’s Dave on why Fallout 4’s Vive exclusivity is a bad thing for VR. The news comes via official Twitter channels. Have those headsets ready! #SkyrimVR is arriving April 3rd for PC. For more information, check out the announcement on Bethesda’s blogor the game’s Steam page, where – for £39.99 or $59.99 – you can add it to your library alongside the base game, the Legendary edition, and the special edition. If you’re a Skyrim fan, please don’t leave an angry comment – I’m only joking. Skyrim’s VR port might actually prove to be a worthy re-release. Big open-world games are rare in virtual reality, and a game like Skyrim – whose wild popularity is already proven – could be just the thing the platform needs. 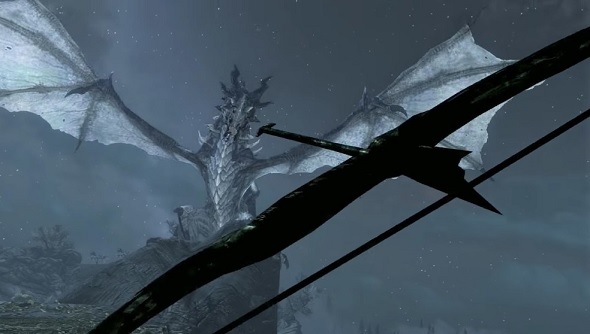 If you need more convincing, consider how playing in VR could radically alter your experience of Skyrim – here’s how our erstwhile colleague Kirk (RIP) found himself turned into an archery-obsessed lunatic(rather than the regular kind).